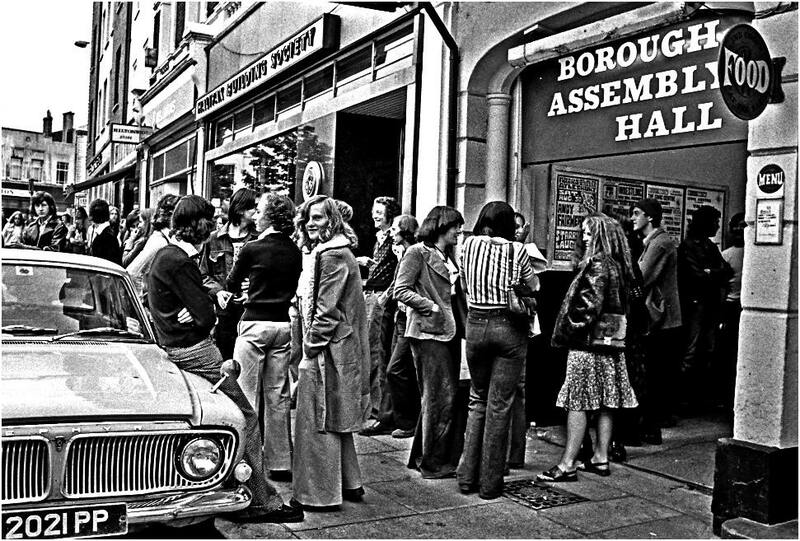 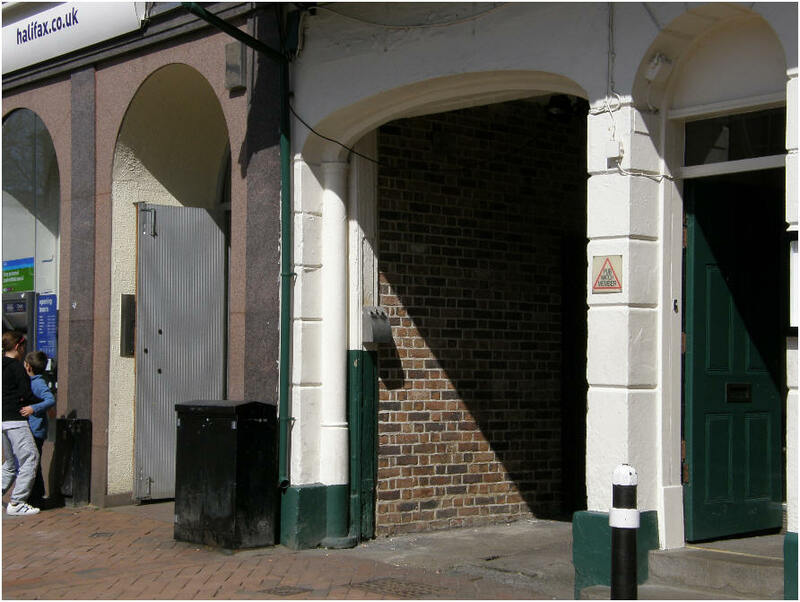 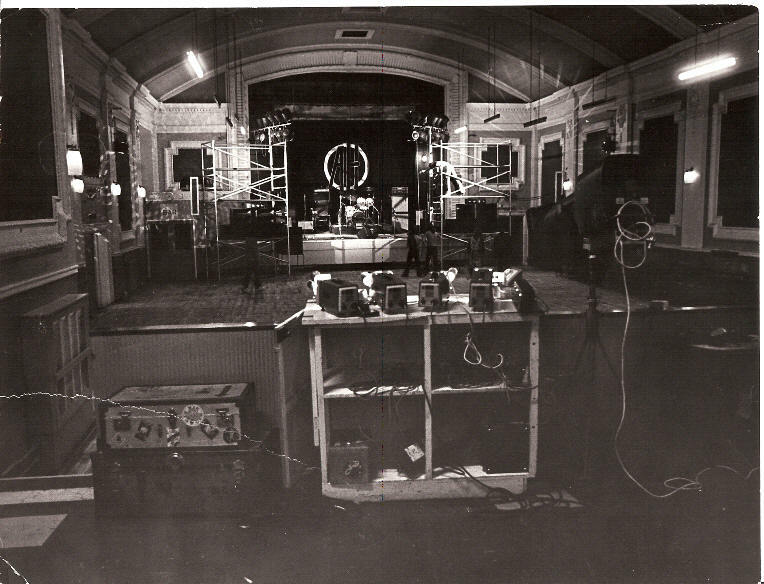 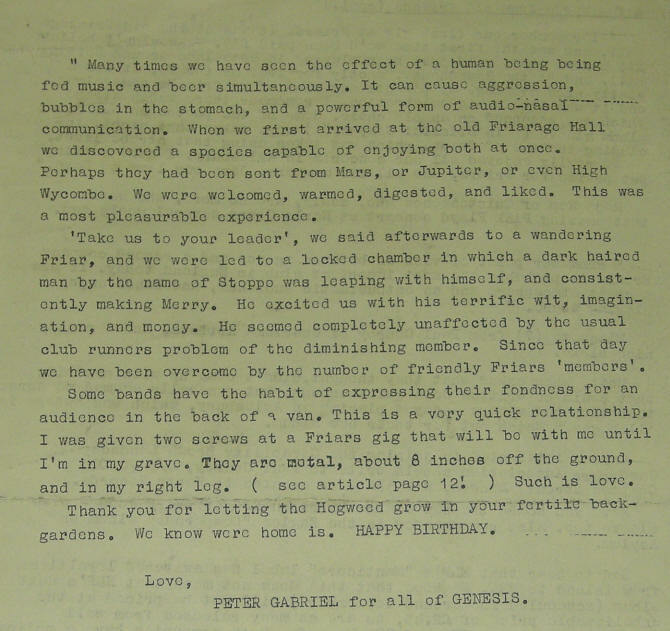 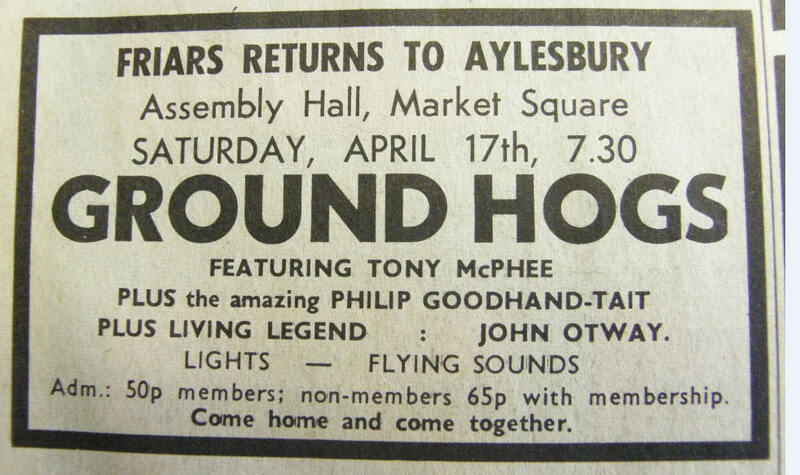 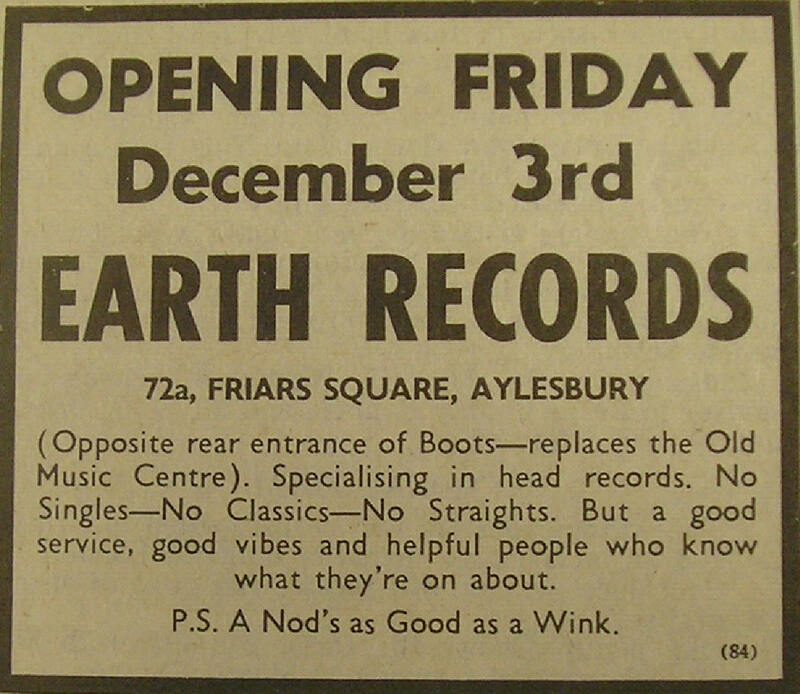 After a nine month hiatus in Aylesbury, Friars returned in April 1971 with The Groundhogs and the Borough Assembly Hall with its dodgy acoustics, became Friars' new permanent home. 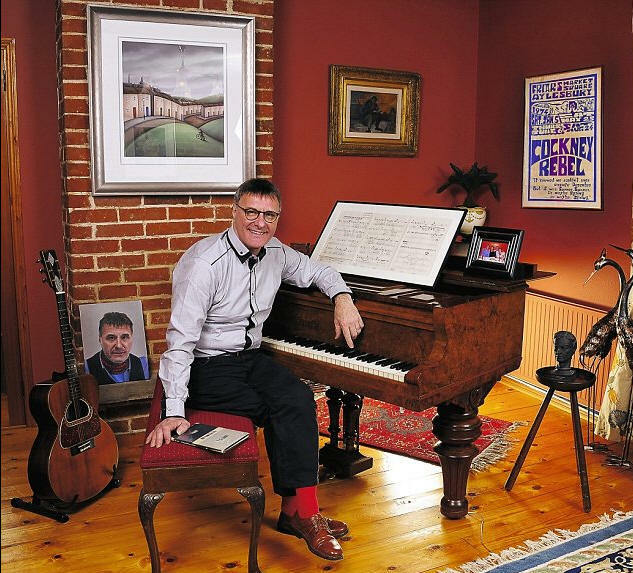 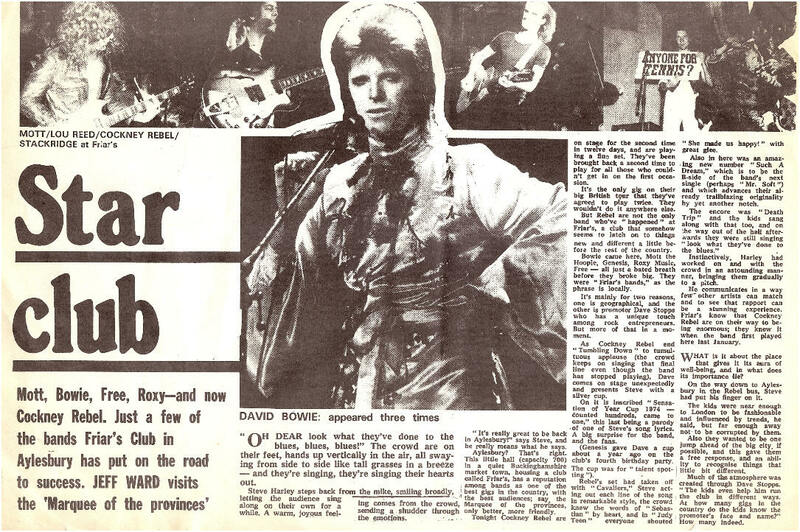 It became 'home' to Ian Hunter, Steve Harley, David Bowie, Stackridge and many others. 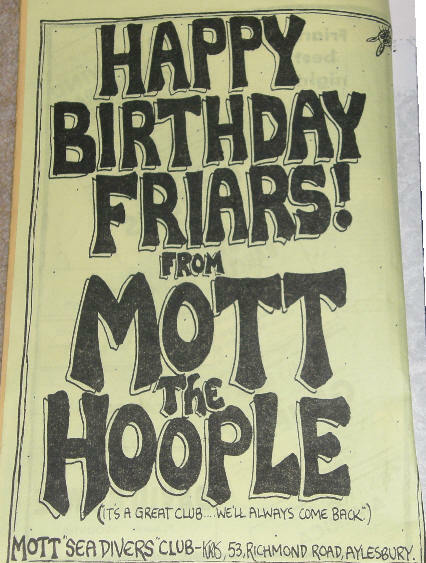 During this time, Friars was starting to get more of a reputation for putting on a mixture of established and new and emerging bands. 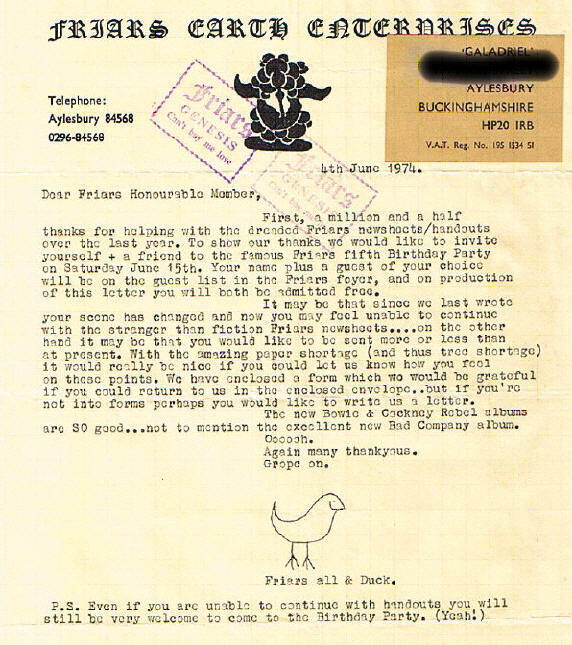 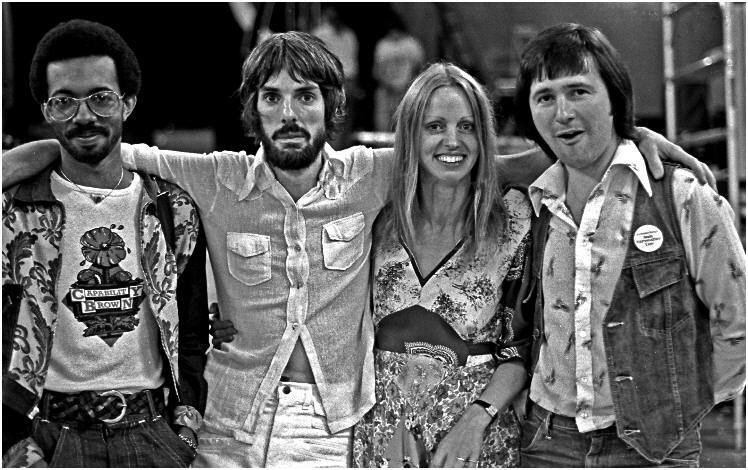 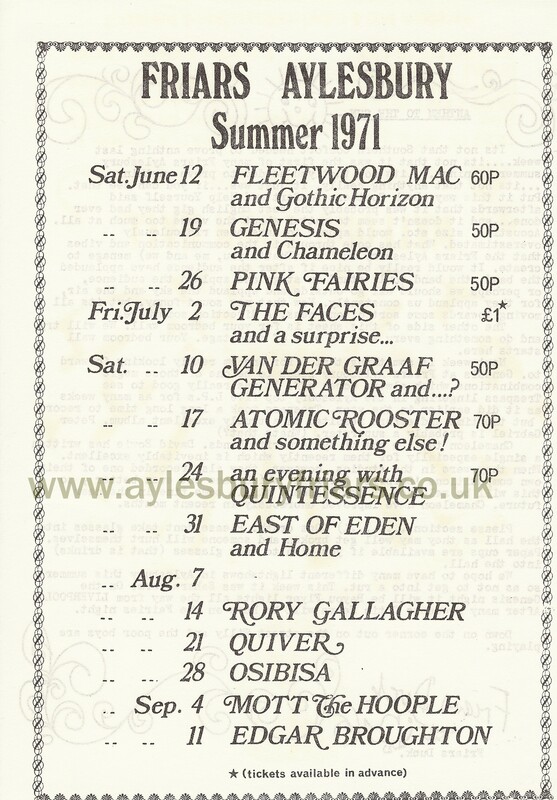 When you look back now at 1972, you have to think, how did Aylesbury get a summer of Bowie, Lou Reed and Roxy Music? 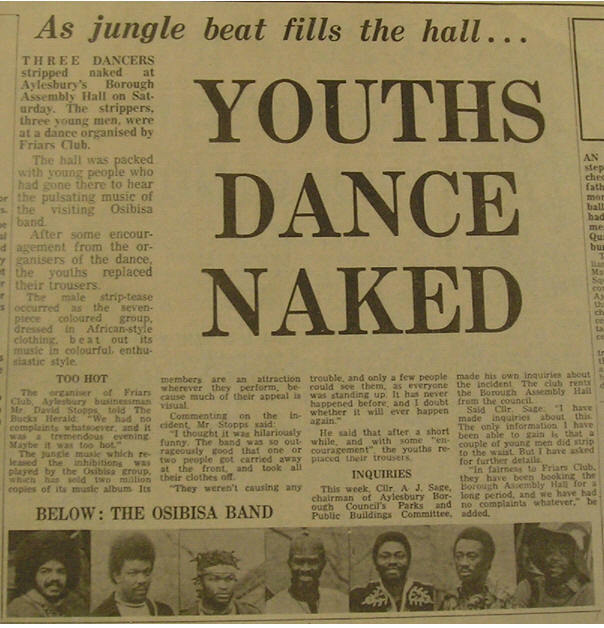 Also in 1972, Osibisa unwittingly caused controversy when a couple of the audience took it on themselves to take their clothes off resulting in a huge local paper front page headline. 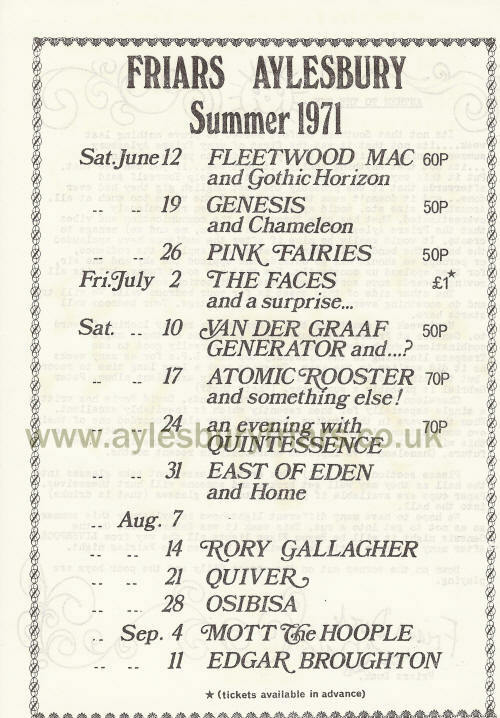 The David Bowie gig in summer 72 is still, 40 years later, regarded by many as the finest gig ever seen at Friars. 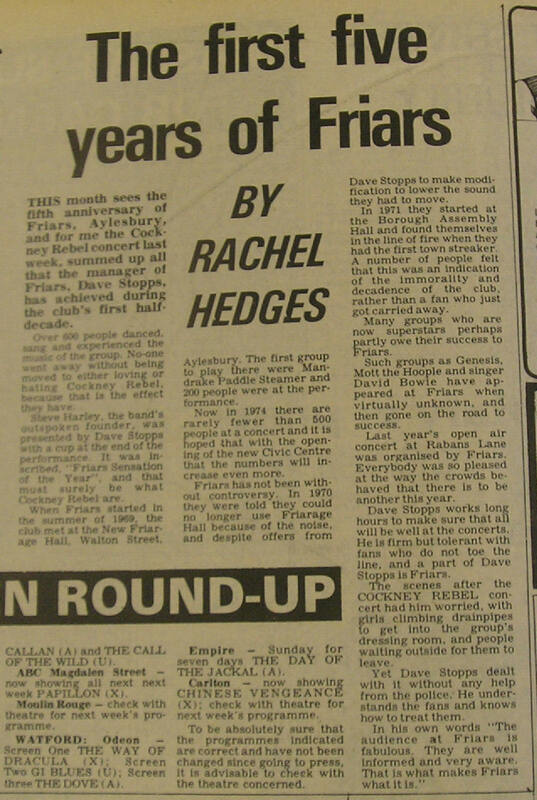 Genesis thanked David Stopps and Friars Aylesbury by presenting (via the legendary Paul Conroy of Charisma Records) a trophy for the support in getting them on the road to fame. 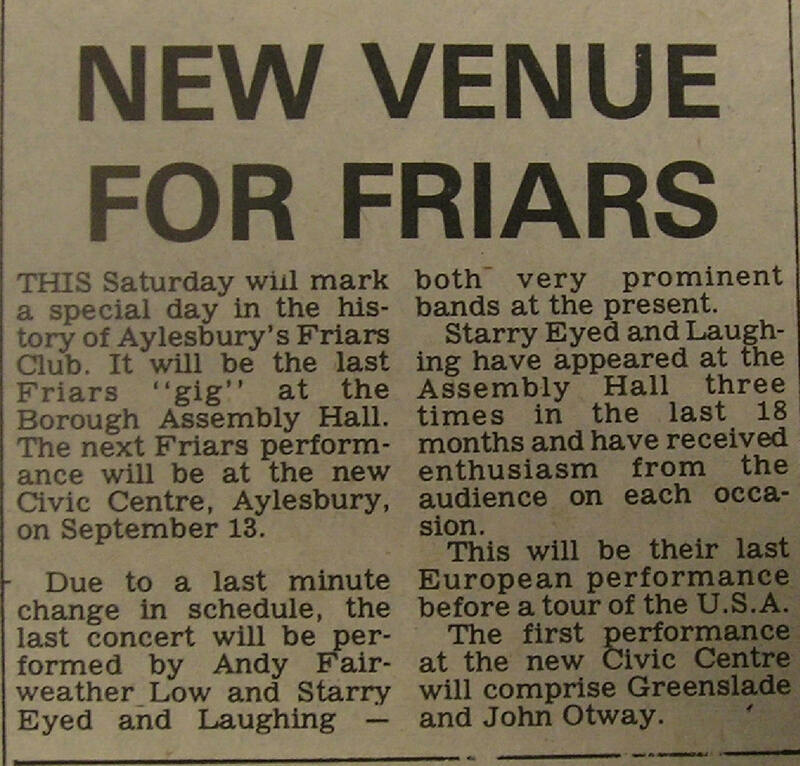 Stopps returned the compliment in 1980 when they came back to Friars as global superstars. 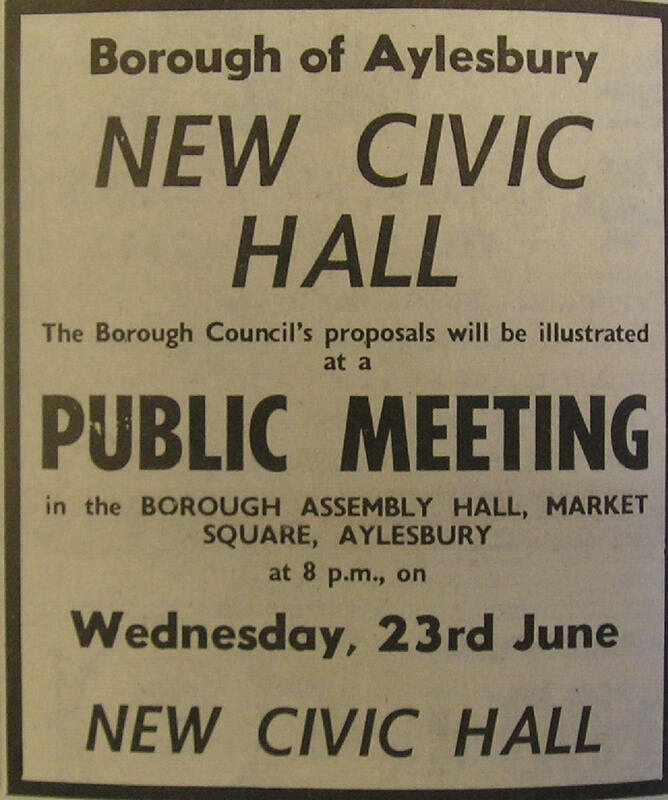 With the building of the new Civic Centre yards from the Borough Assembly Hall, Friars was ready for the leap forward in 1975.